Mike Brito, who still wears a distinctive Panama hat and had been a fixture with his radar gun behind home plate until technology took over, is the scout who teamed with Mexican colleague Corito Verona to discover and help acquire Fernando Valenzuela in 1979. Three decades later, Brito was the first Dodgers scout to see Yasiel Puig in a game at a junior tournament in Canada. That was 3 1/2 years ago and Puig's eventual signing for a staggering $42 million linked Brito with another budding Dodgers superstar. 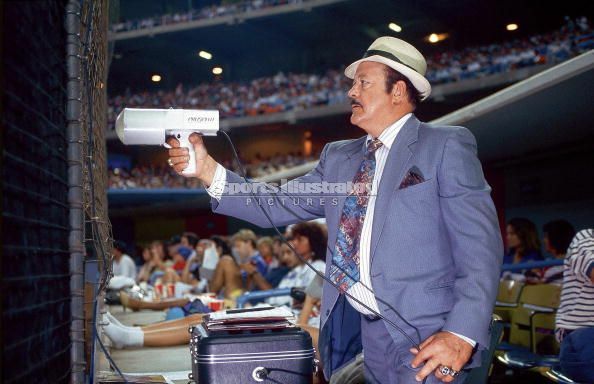 Brito, iconic with his radar gun and cigar, doesn't get a lot of recognition in the media, so it's nice to see Gurnick single him out for his latest work. Here's hoping Puig has the same impact Fernando had.